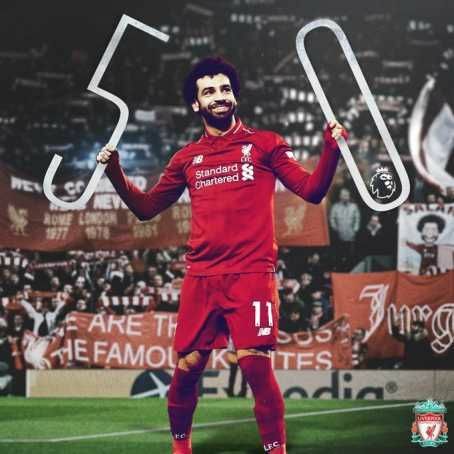 Mohamed Salah has become the fastest Liverpool player in history to reach 50 Premier League goals. The Egyptian scored a crucial goal against Southampton in the second half on Fridy in a solo run from his own half before coolly slotting past Angus Gunn. The goal came in his 69th top-flight appearance for Merseyside club and meant he reached a half century three games quicker than previous record holder Fernando Torres. Salah achieved the total 17 games faster than Anfield favourite Luis Suarez and 19 quicker than Robbie Fowler. "I think that’s goal number 50 for Liverpool in the Premier League so that’s special - and after nine games [without one], but Henderson scored I think for the first time in maybe 30 games so we are both happy.